You can pre-order the physical CD or mp3 version NOW. Threatening smoke, odd beings and glorified body parts, create dark poetry in this twisted, visual representation of OSI’s melancholic tune. The first option includes a double LP set of the self-titled album with exclusive artwork, etched into 180g black virgin vinyl in gatefold jacket. You’ll also get a digital download of high quality FLAC files of the album and a tasty 24″ x 36″ fold-out poster of exclusive artwork. They also have a DVD/Blu-ray version… things take a step up with this package. 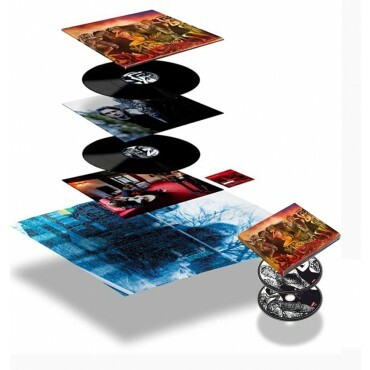 You get all the contents of the Collector’s Edition Double-LP Set (above), plus a digital download of the album the day BEFORE release, 5.1 audio mix of the album, two exclusive demo tracks and five instrumentals, and the full album on CD – all in a package containing over 2.5 hours of music! You can click here to pre-order these packages now. 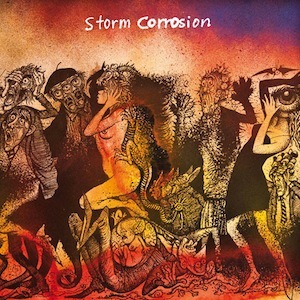 Click here to find Storm Corrosion on Facebook. Fire Make Thunder marks the fourth undertaking for the collaborative duo known as OSI. Formed in 2002 by Jim Matheos (Fates Warning, Arch/Matheos) and Kevin Moore (Chroma Key, former Dream Theater keyboardist), OSI is a long distance partnership, both musicians typically writing and recording alone and sending song ideas back and forth for further elaboration. Written and recorded throughout most of 2011, this latest release once again reflects the eclectic influences of both Matheos and Moore. Fire Make Thunder is slated for a March 27th release via Metal Blade Records. 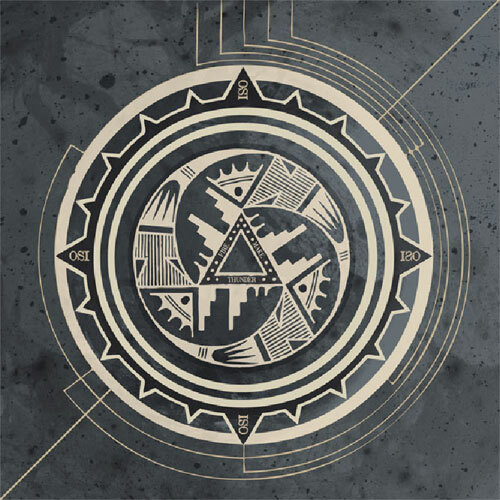 Today OSI unveils the artwork and the tracklisting for their fourth release. Additionally, OSI has released an exclusive audio medley from Fire Make Thunder, which features audio samples from the upcoming release. The medley as well as pre-order opportunities can be accessed HERE (Pacificlectic NOTE: they have the CD for a really great price or a shirt/CD combo). it’s also available for pre-order on Amazon. Returning as the band’s session drummer is Gavin Harrison of Porcupine Tree, this time co-writing one of the tracks with the band. All other instruments and programming were performed by both Matheos and Moore, while vocals and lyrics were handled exclusively by Moore. All of the recording for Fire Make Thunder, with the exception of drums, was done by Moore and Matheos at each musician’s respective home studio with drums being recorded at Harrison’s home in London. Final overdubs as well as some additional writing/arranging was completed in July 2011 in Jamaica, Iowa, where the band mixed alongside engineer Matt Sepanic at Sound Farm Studio and Recording Environment. Mastering was handled by renowned engineer Roger Siebel. The record was produced by both Moore and Matheos. We reached out to OSI for comments on the album. Our calls have not been returned. @Jonopuppy There are plans in the works for a limited vinyl release in Europe. Don't know the release date yet though. And another new Lasse Hoile video from Steven Wilson’s impending 2nd solo album, Grace for Drowning. Behold, “Remainder the Black Dog”… another dark, visual mindf*ck from Lasse Hoile with a Dream Theater-esque fuzzy guitar and keyboard solo. Grace for Drowning is out September 27th. Pre-order now on Amazon. Check out the video for “Index” over HERE and “Track One” over HERE. Grace for Drowning is out September 27th. Pre-order now on Amazon. Check out the video for “Track One” over HERE.